Padlock pendant mount, rusted iron pewter, pendant, charm, mount, pewter castings, B'sue by 1928. 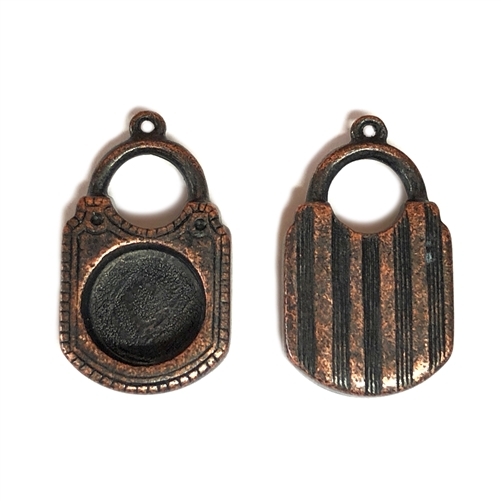 Measures 11mm mount and outside diameter 26 x 15mm (measurement includes top locket loop). Beautiful padlock design on the front with mount, round padlock shape. Lock does not open at the top. Rusted Iron is a specialty artisan finish unique to this line. It may be distressed, and patina products as well as inks will work with the deep, rich, vintage color.